A beautiful gift for either your Mother or Daughter. Comprises of 2 silver plated heart necklaces. Large heart has a cut-out heart design and the word 'Mum' engraved. 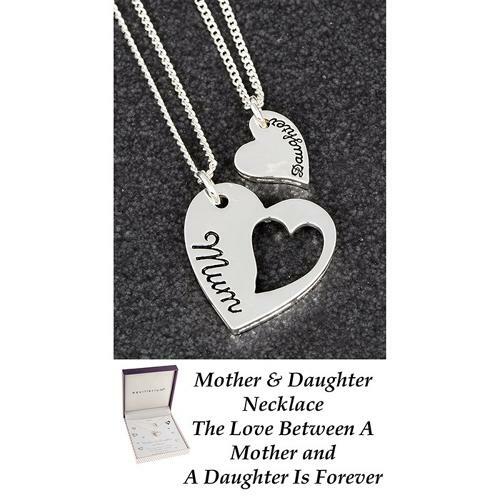 The smaller heart is solid which can fit into the larger heart, with the word 'Daughter' engraved, allowing both mum & daughter to each wear a necklace and remember the strong connection they have with each other.